Akihabara (秋葉原, lit. field of autumn leaves), also known as Akihabara Electric Town (or Akiba in short), is an area in Tokyo’s Chiyoda-ku. 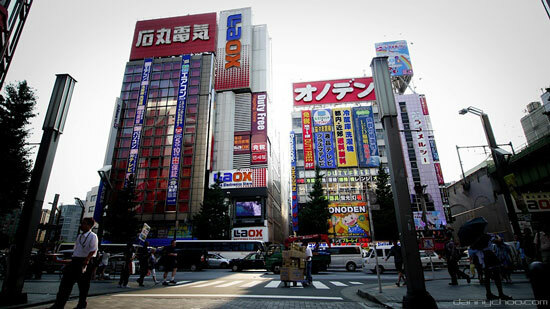 The place is famous for being the mecca of electronic, computer, anime and otaku goods. Akihabara started to shape as an electronic town after World War II, when shops began selling wireless and radio goods to the students of Tokyo Denki University. Its significance began to grow in the 80s following the intro of personal computers; and in the 90s the otaku culture began to boom in the area. 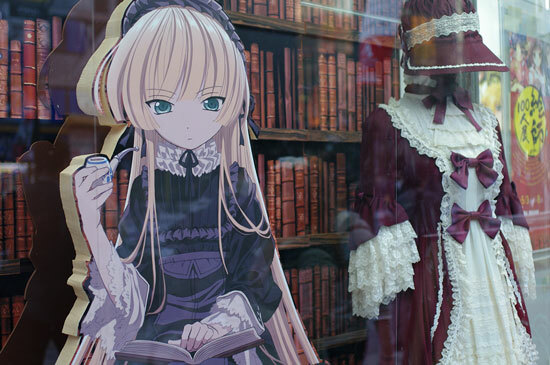 Anime and manga themed shops have arisen since the turn of the millennium as computer sales has reached stalemate. 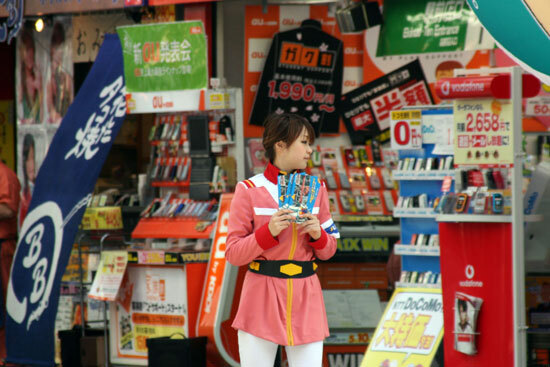 Akiba has also became a famous tourist attraction among foreigners these days, made known via Japanese dramas (e.g. Densha Otoko), anime series, and various TV shows in the past decade. With reference from Wiki. Image by Dannychoo, Oimax, and Fukapon.